The iPage Essentials hosting plan has been a game-changer in the shared hosting market, and it’s this plan that we’ll be looking at in closer detail throughout our iPage review. Though they may not necessarily boast the kind of household name reputation enjoyed by the likes of GoDaddy and HostGator, iPage have nonetheless carved out a name for themselves as industry leaders. With the latter, every email account you create comes with 500MB of storage space, access via web mail and POP3/IMAP, and its own autoresponder, spam filter, and virus checker. The features above are only just the tip of the iceberg when it comes to what iPage Essentials have to offer. iPage Essentials comes with a free domain name for the first year, after which the regular renewal fee comes in at £16.99 per year. But let’s just take a minute to soak in the information we’ve obtained already; free domain, unlimited disk space, unlimited email accounts, unlimited databases, a free website builder, marketing credits, 24/7 customer support, and a 30-day money-back guarantee – all for £1.50 per month! Now, that’s what we call a mind-blowing deal within the cheap web hosting market. The good news, is that if you want to create multiple websites with your plan, you can do that without any problems. Essentials supports unlimited add-on domains, domain forwarding and even has an option to park domains and generate income on those you’re not currently using. 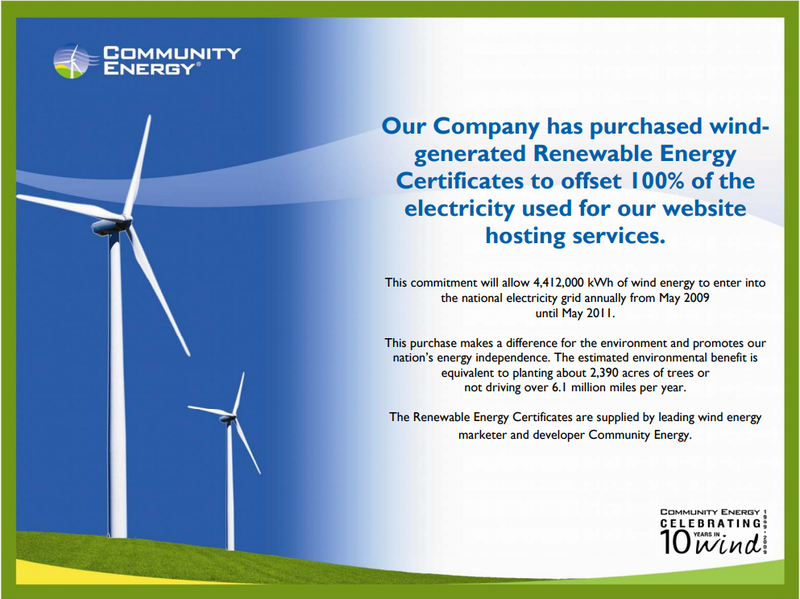 As well as reliable web hosting, iPage also promotes a unique environmental responsibility; it’s officially green certified, and offsets energy use by 200% – pretty amazing, right? It may seem like an odd connection to make – web hosting and environmentally friendly – but when you think about it, web hosting companies will likely have multiple data centers worldwide, all using electricity. iPage confirm that being green certified is something that they’re very proud of, as am I; what they’re doing is equivalent to taking 224 cars off the road – it may not seem like a world-changing amount, but at least they’re doing something about it and are conscious about what they do. On the whole, I’ve got nothing but good things to say about iPage when it comes to their user-friendliness. From sign-up to being ready to launch your first website takes no more than a couple of minutes following a straight-forward process that involves nothing more complicated than choosing a domain name, entering some personal information and paying via either credit/debit card, PayPal or a number of other options. Meanwhile, I found the user-interface to be highly intuitive, with everything neatly categorised in a series of drop-down menus from your dashboard, and the majority of tools and features easily accessible through icons on the vDeck control panel. 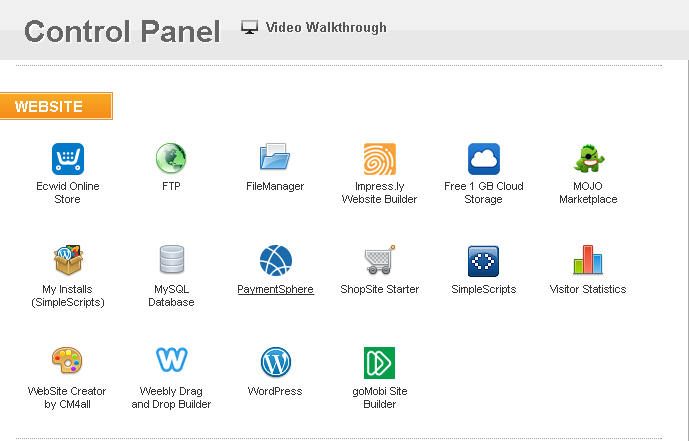 Although iPage’s control panel may not be the ‘usual’ cPanel that most are familiar with, this doesn’t mean that it’s bad. In fact, I think it’s great! iPage’s control panel has everything you need right before your very eyes to get your website built, online, and making money – quick and efficiently. You have full control over your FTP details with iPage’s FTP management panel, as well as a simple FileManager if you prefer not to dive into FTP. You’ll likely be familiar with 1-click installs, but may be wondering where these are located on iPages control panel; the Mojo Marketplace is where you’ll find your 1-click installer, as well as plugins, graphics, and further add-ons to make your website stand out from the rest. You’ll have access to visitor statistics to pull out raw visitor data from your website, as well as a website builder with iPage support on hand, should you need anything. Since everything is well laid out, it doesn’t take long to get to grips with managing your account, launching applications and developing your website, and I’d certainly have no problems recommending iPage Essentials for those of you new to web hosting. I’ve mentioned elsewhere in that one of the main reasons I rate iPage Essentials so highly is the consistently high levels of uptime and lighting fast sever speeds. Uptime, for me, and hopefully for you, is a very important factor when considering a web host. Having a high uptime percentage on your website is a critical aspect to ensuring that your business stays online. Monitoring your websites’ uptime is key to establishing whether your web hosting provider is right for your website, or type of business. If you cannot afford any downtime, you’ll need to find a web host that honours a 99.9% uptime guarantee. However, after reading this review, you find you like a lot of the aspects that iPage offers, they do give all of their customers a 30-day money-back guarantee if you feel you have any doubts about their services. As you can see from my real-time tracking above, iPage’s uptime was 100% over a 7 day period, and 99.71% over the 30 days that I monitored a website hosted with them. Although it’s not a perfect score, compared to most companies, it’s very good. Over the six months that I tracked all of the companies, iPage regularly outperformed most of their competitors, with monthly uptime averages dropping below 99.9% on only two occasions. Even then, this was so miniscule that it didn’t seem to affect the over all performance of my websites. Meanwhile, the severs -which are fueled by 100% renewable energy sources- loaded pages at speeds well above the average rate, making them one of my top picks for high performance, reliable hosting. Now we get to the really fun stuff; actually using your unlimited hosting plan to build and launch a website. For serious developers or those using offline website building tools like the popular Adobe Dreamweaver and Visual Studio, iPage offers the option of either an online file-uploader or unlimited FTP accounts that work with software such as the free FileZilla FTP client. Honestly, if you’re going down this route, I’d recommend the latter of these two. Whilst the file uploader is fine if you only have one or two quick additions you need to make, the fact that you can only upload one file at a time makes it both cumbersome and impractical for larger files. Meanwhile, the FTP accounts are simple to set up and allow you simply drag your entire website from a folder on your computer hard drive to your iPage Essentials shared hosting server. My preferred choice for building a website is to use the one-click installation apps found in your vDeck to launch Content Management System (CMS) platforms like WordPress, Joomla, or the eCommerce focused Shopify. Initial setup for these applications is no more complicated than selecting the appropriate icon from the ‘Website’ panel in your dashboard, entering some basic information about your site (normally the title, and user-login details) then getting to work. I’d recommend this option mainly for intermediate users, as getting to grips with WordPress and its alternatives, though not exactly difficult, does require a slightly steeper learning curve than using a drag-and-drop website builder. Speaking of which, iPage even offers multiple options if you’re looking to use a simple website builder rather than a CMS. In my opinion, this puts them ahead of many of their competitors who only offer the one option, and certain miles ahead of those who offer no website builder at all. Though Impress.ly Websuite Builder and the creator by C4Mall are both decent enough in their own right, I strongly suggest that if you’re looking for a combination of simplicity and professional design, you choose the Weebly web editor. Experts in the industry regularly rank this at the top of the charts when it comes to top drag-and-drop website builders, and for good reason. Not only is it as easy to use as dragging your mouse around the screen and slotting elements into place, the wealth of professionally pre-designed templates which come with your Weebly site are a cut above many alternative web builders. iPage Essentials also provides comprehensive support for Perl, Python, Ruby, and several versions of PHP, up to and including the latest release. With so many tools, scripts, and options on offer here, I hope you can see why I think iPage stands out from the crowd when it comes to supporting users to build and launch powerful, professional-looking websites. Though iPage boast a £50 marketing package on their homepage, a closer look at the complete list of features on offer makes me question whether this is actually the case. These days, you’ll find that the majority of hosting companies bundle a reasonable (and often welcome) amount of free advertising vouchers into their packages. These can be used to promote your website via Pay Per Click ad campaigns on Bing, Yahoo! and Google. In most cases, these range from £50 to £100 per site or their US Dollar equivalent. At first glance, iPage looks to be keeping up with their rivals by offering a $100 Google Adwords voucher and a further $100 in credits for Yahoo/Bing. Then I realised that these are only actually available to customers in the United States, as is their offer a toll-free phone number which you can promote on your website instead of publishing your personal phone number. So far then, that’s three of the five marketing features in the iPage Essentials plan that those of us here in the UK can’t access. So what about the rest of them? Well, there’s only two; online marketing guides and a free listing on the Yellow Pages website. The latter of these two is somewhat misleading, since you can just as easily go to Yellow Pages and create a free listing yourself, regardless as to whether or not you sign up with iPage. This just leaves the marketing guides which, though somewhat basic, do provide a clear, well-written and easy-to-follow introduction to concepts like Search Engine Optimisation (SEO), social media marketing and Pay Per Click. So far, only the like-for-like marketing bundle offered by iPage’s peers at FatCow has been so underwhelming, though given that the Essentials plan does offer so much more, I’m not going to let this cloud my overall judgement of the service. One of the key reasons I rate iPage so highly is that they come automatically equipped to cater for small and medium-sized eCommerce stores. Whereas the majority of shared hosts offer up just a few basic essentials and charge extra for tools like SSL certificates, iPage goes the extra mile of including that in the price of your plan. SSL is a vital component of a successful online store. At the front end, this is the tool responsible for changing the HTTP in front of your website address into a HTTPS with the green padlock icon, but there’s an awful lot more to it than that. IF you take the safety of your customers seriously (and I really hope you do!) then SSL should be critical to your online store, so for eCommerce alone, I’d recommend iPage over another unlimited shared hosting plan like that offered by eHost, who charge you up to £100 fora year’s SSl registration. Beyond that, all the basics are here too. PayPal integration, eCommerce website builders, and support for all the leading payment gateways and shopping cart tools like ZenCart and the WordPress plugin WooCommerce are all accounted for too, which again I think goes a long way to making this a good choice for mid-sized online stores with at small to medium levels of web traffic. When creating an eCommerce store, whether you’re experienced or not, the process can be a little daunting. iPage has made hosting and building an online store feel like a breath of fresh air. You can essentially obtain a domain, host your website, build your website, and integrate all of the useful tools iPage has to offer within the day. 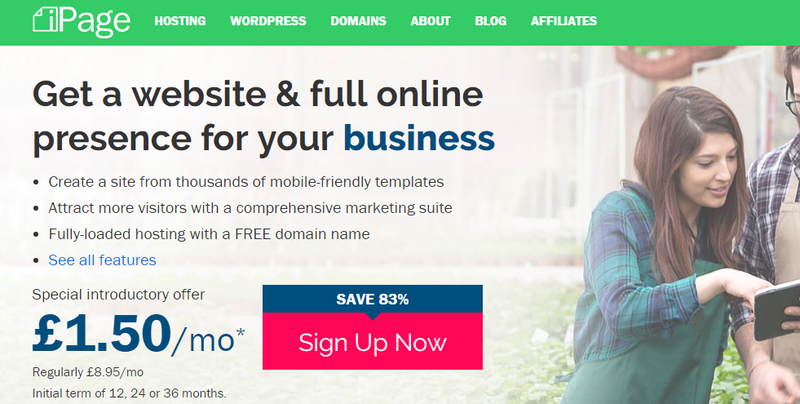 There are hundreds of templates and themes to choose from, so you’re guaranteed a great looking, and professional website or eCommerce store for your customers. There’s no fiddling about with plugins or payment integrations; again, iPage make it easy – a one-stop-shop for all your website needs. With a lot of web hosting companies that I review, I tend to find that the level of customer service is no more than satisfactory. That is, the company and its support staff typically get everything right but don’t really stand out as being anything worth raving about. iPage are one of the very rare exceptions to that rule. On the whole, my personal experiences in dealing with the company via live chat, email and telephone support have been far above average. Their 1st line support team were friendly, investigated any issues that I had, and dealt with it there and then. If 1st line support couldn’t deal with my query due to it being more technically involved, 2nd line support, more often than not, responded to me within 24 hours. Not only did the customer support reps at both the tech and billing support ends respond quicker than their contemporaries at other hosting companies, but they were friendly, helpful, and struck just the right balance between tech talk and keeping things simple. 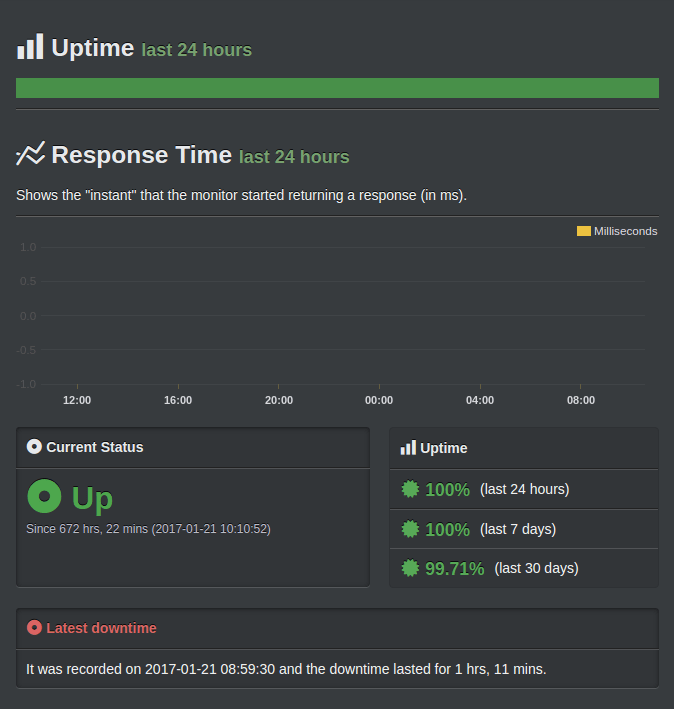 Even if iPage’s customer support had ended up being not so good (which, just to clarify, it really was an excellent experience), their 24/7 uptime monitoring tool allows their support team to be on hand and reactive if anything were to go wrong. Meanwhile, the comprehensive bank of how-to guides, tutorials and advice articles were more than sufficient in tackling common iPage Essentials and website problems, often eliminating the need to contact support at all. Their user guides are extensive, covering common topics, such as, managing your domain, how to configure your email, selling online, etc. Most web hosts do provide some kind of FAQ section or knowledgebase, but iPage have gone the extra length to put these handy guides together; as I said, it often reduces the need to contact support, and you can read through them at your own leisure. It’s advanced applications make it unique, considering you’re getting all of what I’ve mentioned in my review for only £1.50 per month – better still, if you find you don’t get along with iPage Essentials, there’s a 30-day money-back guarantee. I seemed to have covered a lot through this iPage review and have tried to be as detailed as possible. iPage has always been a personal favourite of mine and is often one of my own go-to hosting providers. It’s a solid performer and at £1.50 per month, it’s an absolute steal!